Lets make them special and do nothing, lamb cutlets are tender, taste fantastic and look superb. The melt in the mouth texture of this top quality meat will never disappoint. 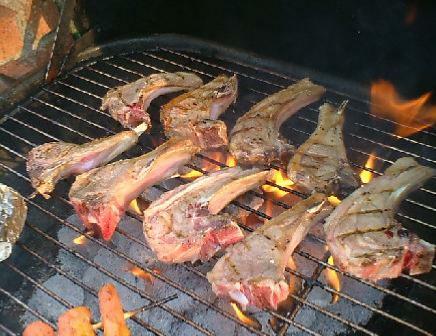 Lamb cutlets are best grilled over hot coals to quickly seal in the juices. With only a few minutes cooking time required, make sure everything else is ready before you start grilling the cutlets. 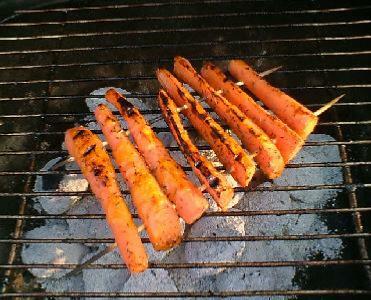 Just place the cutlets on the barbecue and grill for 4 to 5 minutes each side. Turn and move around the grill to avoid burning. 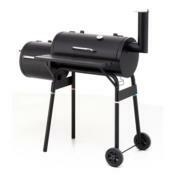 Barbecue to taste depending on your preference of a medium or well done cutlet. You can test with a fork to see if the juices run clear and they are ready to eat. Place on the cooler side of the barbecue if the flames get to high. The new potatoes should be washed and then par boiled for 5 minutes. Then cover with cold water to stop them cooking. Drain, place in a double layer of foil with an handful of fresh mint and a drizzle of olive oil. Add a little salt, wrap the parcel and place on the barbecue. 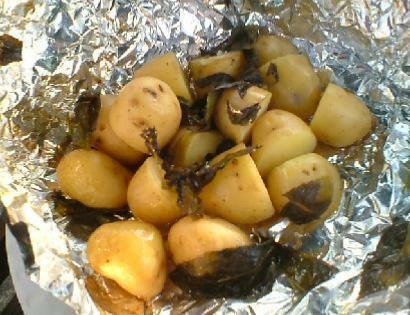 The double layer of foil will protect the potatoes so they may be placed over the coals of a medium heat. Cooking time approx 15 minutes, a little longer if required, open and test with a fork to make sure they are ready before serving. Peel and slice length ways 2 carrots, par boil for 3 to 4 minutes and then add cold water to stop them cooking. Remove from the pan and gently thread the skewers through the carrots slices to make the rack. Dribble or brush with a little olive oil, season with pepper or dried ginger. The rack of carrot is now ready to barbecue using the indirect method, although you may cook direct to char the carrots and give them more of a barbecued flavour. Indirect cooking time approx 15 minutes and then colour for a few minutes over the coals.